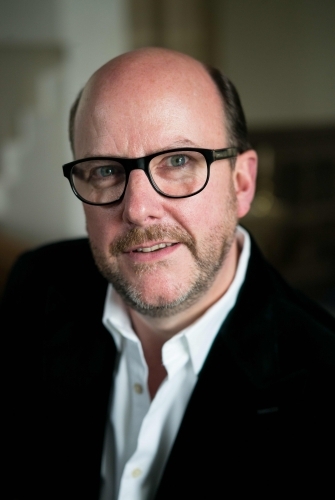 Neal Davies studied at King's College, London and the Royal Academy of Music, and won the Lieder Prize at the 1991 Cardiff Singer of the World Competition. He has appeared with the Oslo Philharmonic Orchestra under Mariss Jansons, BBC Symphony Orchestra under Pierre Boulez, Cleveland and Philharmonia orchestras under Christoph von Dohnányi, Chamber Orchestra of Europe under Nikolaus Harnoncourt, Orchestra of the Age of Enlightenment under Frans Brüggen, English Concert with Harry Bicket, Gabrieli Consort under Paul McCreesh, Hallé Orchestra with Sirf Mark Elder, Concerto Koeln under Ivor Bolton, Scottish Chamber Orchestra with Adam Fischer, Bergen Philharmonic Orchestra with Edward Gardner, Deutsches Symphonie Orchester Berlin with David Zinman, Melbourne Symphon Orchestra with Sir Andrew Davis, and the London Symphony, and Vienna Philharmonic orchestras under Daniel Harding. He has been a regular guest of the Edinburgh Festival and BBC Proms. His wide discography includes Messiah, Theodora, Saul and Creation (Gramophone Award 2008) under McCreesh, Jenufa and Makropulos Case under Sir Charles Mackerras, Barber’s Vanessa under Leonard Slatkin, Messiah under René Jacobs, the Hyperion Complete Schubert Edition with Graham Johnson, and Britten’s Billy Budd with Harding (Grammy Award, 2010). Operatic appearances have included: Major General Stanley The Pirates of Penzance and Ko-Ko The Mikado for the Lyric Opera of Chicago; Giulio Cesare, Figaro Le nozze di Figaro, and Alaska Wolf Joe The Rise and Fall of the City of Mahagonny for the Royal Opera House, Covent Garden; L’Allegro, Zebul Jephtha, Publio La clemenza di Tito, Ariodates Xerxes, Kolenaty The Makropoulos Case and a new commission by Ryan Wigglesworth, A Winter’s Tale, for English National Opera; Radamisto for Opera de Marseille; Leporello Don Giovanni for Scottish Opera and Opera de Montreal; Curlew River for the Edinburgh Festival; Guglielmo and Don Alfonso Cosi fan tutte, Papageno Die Zauberflöte, Leporello, Dulcamara L’elisir d’amore, Zebul and Sharpless Madame Butterfly for the Welsh National Opera; Agrippina for the Deutsche Staatsoper Berlin. With William Christie and Les Arts Florissants, Neal has sung in Theodora (Paris and Salzburg) and in the Aix-en-Provence Festival production of Charpentier’s David et Jonathas (Aix, Edinburgh and New York), which is available on DVD. He sang Traveler in the Barbican Centre production of Curlew River, which toured to New York’s Lincoln Center, and Alaska Wolf Joe for the Opera di Roma. This season Neal returns to the English National Opera as Garibaldo Rodelinda, the Garsington Opera for a new commission by David Sawer (The Skating Rink), and to the Deutsche Staatsoper Berlin for King Arthur; he will appear in concert with the Hallé Orchestra (Sir Mark Elder), Spanish National Orchestra (David Afkham), and Les violons du Roy (Jonathan Cohen).